The Dallas Cowboys and Houston Texans, two teams fighting for their footing early in this NFL season, remained gridlocked through sixty tough minutes on Sunday night. In the end, it was the Texans earning their second straight overtime win, doing so at the expense of a now 2-3 Cowboys team. The decision that will haunt the Cowboys ahead of another match up with the AFC South's Jaguars in week six is an overtime punt from the Texans' 42 yard line on fourth and a yard. On the previous play, Ezekiel Elliott was stopped for no gain running to his left behind Connor Williams and Tyron Smith. 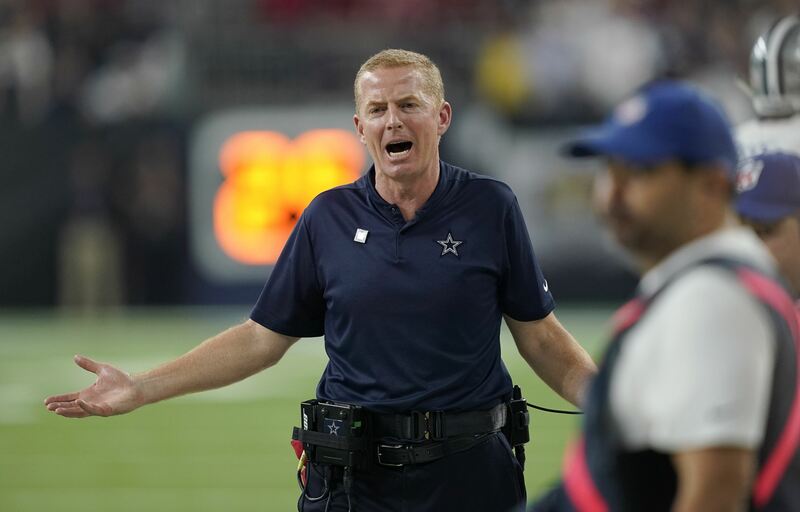 Taking the emotion out of a game like this is always difficult, but now more than ever its a necessary step for the Cowboys - who remain in contention for the top spot in the NFC East despite weekly turmoil. With that said, here as always are my immediate thoughts on the Cowboys performance. Once again, poor safety play plagued the Cowboys at the wrong times in this game. On the Texans first touchdown drive, both Jeff Heath and Xavier Woods were responsible for giving up extra yards that kept Deshaun Watson and Houston on the field. First, Heath was late dropping into coverage from a down position to help Cornerback Chidobe Awuzie on a catch by DeAndre Hopkins. 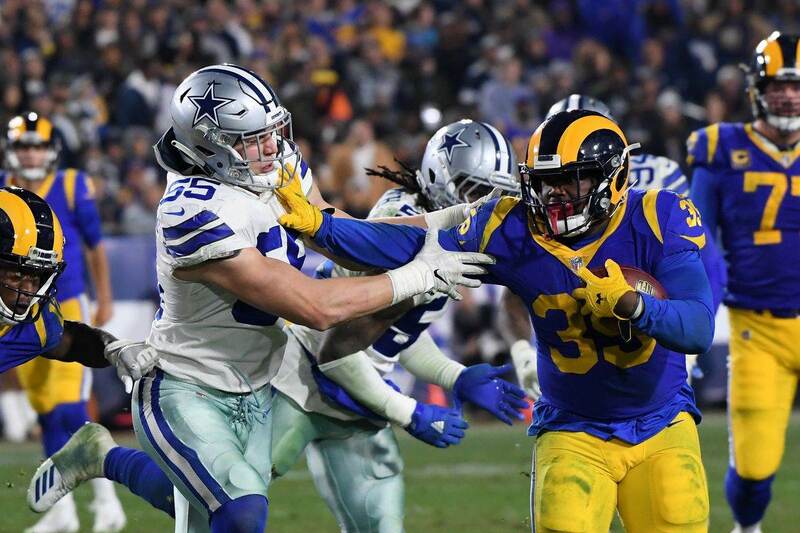 Awuzie was later taken out of the game, allowing Jourdan Lewis to see his first extended action of the season. I'll wait until I can study the film to see how Lewis held up, but at first glance it seemed like he finally took advantage of some playing time, as Anthony Brown moved from the slot to the outside. Later in this same drive, Woods took a poor angle and arrived high trying to tackle Hopkins, who made him miss on his way to a big gain. Both Heath and Woods made up for these plays later in the game, with Xavier securing the Cowboys first interception of this season, but the Cowboys defense was later put in position to lose this game in overtime - which is exactly what happened. The Cowboys came into this game thin at defensive tackle without Maliek Collins and David Irving. While their pass rush ability was missed against Watson, give a ton of credit to Antwaun Woods and Tyrone Crawford for their play on the inside. Rookie Defensive End Dorance Armstrong was even in the Cowboys rotation at 3T-DT in this game, but it was mostly Crawford handling this position alongside Woods. Woods executed his assignments brilliantly throughout the night, holding the line of scrimmage when needed and creating some penetration as a 1T. On Jaylon Smith's touchdown-saving play before the half, it was Woods occupying a block while pushing into the backfield that helped Smith free himself to catch Watson. It's a shame that this play won't be remembered as part of a Cowboys win, as its easily one of the best Jaylon has made with the Cowboys, and the same can be said about the consistency that Woods showed at DT. The Cowboys defense deserved a better outcome in a game they brought to overtime thanks only to some red zone heroics. An underappreciated part of Dak Prescott's game was on full display during his touchdown pass to Allen Hurns. The Cowboys best sequence of this game came out of the locker room to start the third quarter. Anthony Brown made a strong tackle that would've led to a Texans punt, but instead forced a fumble that was recovered by Lewis. The Cowboys started from the Texans' 16 yard line, and thanks to some aggressive play calling by Scott Linehan were able to put the ball in the end zone. When Prescott came into the league in 2016, his ball handling ability to sell fakes was a huge part of the Cowboys offensive plan. From three yards out, Hurns found himself wide open at the end line after Prescott was given time to execute a fake to both Tavon Austin and Elliott. It would have been fascinating to see if the Cowboys could have found similar success on fourth down in overtime, after not running behind Zack Martin on a failed third down. Rookie Linebacker Leighton Vander Esch remains a bright spot for the Cowboys defense, and Kris Richard has proved he knows how to best utilize the Boise State product. The Cowboys knew they were taking on a project in Vander Esch, and one with endless amounts of untapped potential. 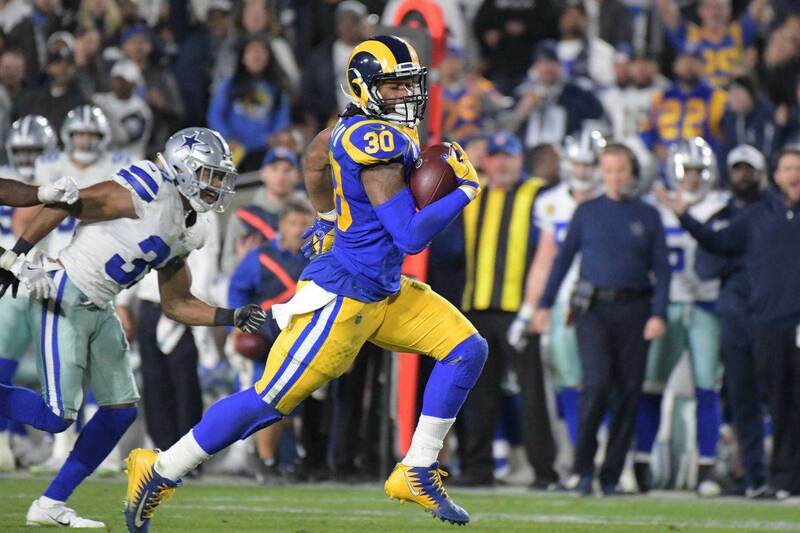 Criticized for being the team that pulled the trigger on this potential in the first round solely because of Sean Lee's injury past, the Cowboys are looking smarter with each week that Leighton gets a chance to prove himself. All along, the Cowboys have had a plan for Vander Esch. Whether or not this plan involved him starting games this early in his career, Leighton has embraced the opportunity and is using every game as a chance to progress into a future leader for this Dallas defense. Amazingly, Vander Esch has been free to flow to the ball without taking on many blocks this season. If LVE was ready to do one thing at the next level based on his college tape, its tackle in space. Vander Esch has done so at a tremendous rate, playing as a perfect complement to Jaylon Smith. The Cowboys will have plenty of questions to answer this week about what could have been in Houston, while also preparing for what could be still to come this season. On offense, this team's personnel faces a very tough match up against the Jaguars this week - a team that certainly won't feel sorry for Dallas after their own unraveling at the Chiefs on Sunday. 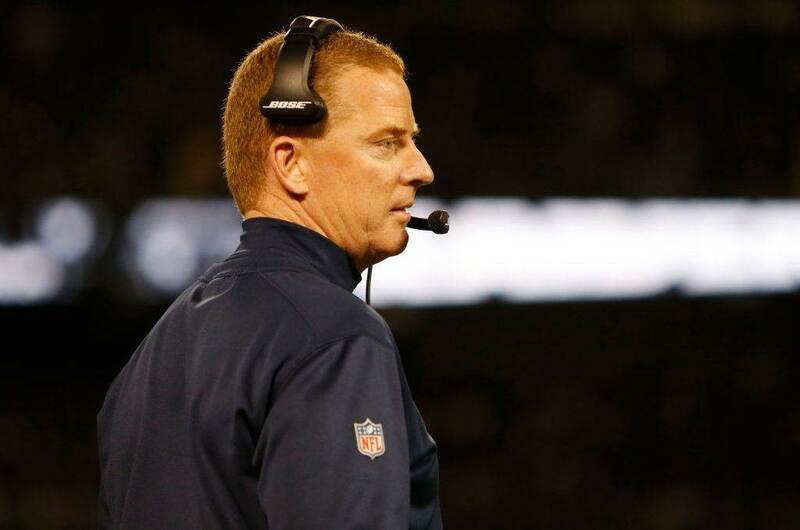 At this point, it feels like even another Cowboys win would do little to douse the flames surrounding this coaching staff, but there were enough on-field positives from the overtime loss to the Texans to expect this team to remain competitive. Tell us what you think about "Sean’s Scout: Cowboys Punt Away Chance at Division Lead with Heartbreak in Houston" in the comments below. You can also email me at Sean.Martin@InsideTheStar.com, or Tweet to me at @SeanMartinNFL!